2018 has been a great year for crime fiction so far, but April 2018 is notably slower than its predecessors. Try as I might to find another book or two to add to this list, my April new release recommendations are few and far between - though that shouldn’t at all detract from your enthusiasm from the books that are included in this post. This month saw the release of my most-anticipated read of 2018, and the US paperback launch of a book that has already sold over a million copies worldwide - both books deserving of a trip to your local bookstore or library! For those readers eager for more new releases, never fear - May 2018 promises to more than make up for what April may have been lacking. I’ll include a sneak peek at a few releases to keep your eye on in May at the end of this post, too! My Quick Thoughts: My favorite author re-writing my favorite of Shakespeare’s plays for the Hogarth Shakespeare collection - what’s not to love? Nordic Noir’s reigning king delivers a gripping rendition of Shakespeare’s Macbeth in this sharp and engrossing novel. Known for his vivid, raw character development and masterful plotting, Nesbø brings to his Shakespeare retelling all the strengths that have earned him legions of dedicated fans around the world - now paired with one of the most infamous stories in literature. Readers will be struck by just what a perfect pairing this is; thematically, Nesbø’s backlist and Macbeth couldn’t be more well-aligned. Revenge, love, power, corruption—themes that Nesbø explores in his Harry Hole books (and his standalones, for that matter) are mirrored perfectly in Shakespeare’s Macbeth, and it’s these commonalities that make Nesbø’s take on the classic feel both authentic and original all at once. Beyond just being a great adaptation, Nesbø’s MACBETH is a great crime novel, too: shootouts, political machinations, and interpersonal tensions all combine to deliver a page-turning, gut-wrenching new standalone from one of the greatest crime writers working today. In Nesbø’s hands, this ambitious project is nothing but a success. 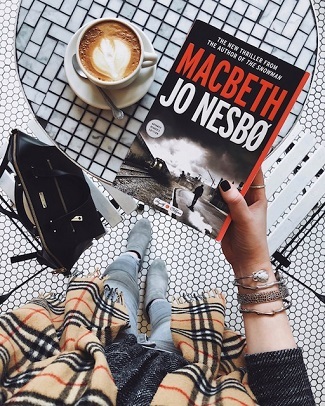 Plot Details: Set in the 1970s in a run-down, rainy industrial town, Jo Nesbo's Macbeth centers around a police force struggling to shed an incessant drug problem. Duncan, chief of police, is idealistic and visionary, a dream to the townspeople but a nightmare for criminals. The drug trade is ruled by two drug lords, one of whom—a master of manipulation named Hecate—has connections with the highest in power, and plans to use them to get his way. My Quick Thoughts: There’s something instantly comforting about picking up a book like THE GIRL IN THE ICE. It’s like a trusty old friend - a crime book that you can curl up with and devour, counting on it to provide you with an easy escape from everyday life. 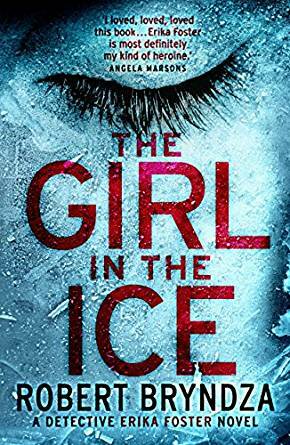 Bryndza does “comfort reading” so well in THE GIRL IN THE ICE, a pacey series launch that has already sold over 1 million copies around the world, and is now available in paperback for US readers. Don’t get me wrong: there’s nothing “cozy” about this read; it’s got a chilling serial killer, gruesome discoveries, creepy, anonymous figures lurking in the night… and, at the heart of it all, a resilient female lead who readers will instantly fall in step with, despite the (many) setbacks she faces. This book will work for crime readers who want that familiar, easy-to-binge police procedural—pick this book up if you’re looking for a crime read to tide you over until M.J. Arlidge releases his next thriller. 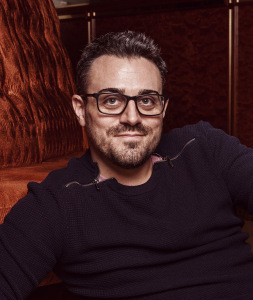 (Just be prepared to get hooked on a new series in the process!) Fans of Arlidge will appreciate Bryndza’s breezy pacing, compact chapters, and the easygoing entertainment value of his work. Plot Details: Her eyes are wide open. Her lips parted as if to speak. Her dead body frozen in the ice...She is not the only one. The last investigation Erika led went badly wrong... resulting in the death of her husband. With her career hanging by a thread, Erika must now battle her own personal demons as well as a killer more deadly than any she's faced before. But will she get to him before he strikes again? Plus: May 2018 Releases to Look Forward To! Why You Should Pay Attention: I am such a fan of Ruth Ware, and I’m beyond excited for you all to read her next release! THE DEATH OF MRS. WESTAWAY is without a doubt my favorite Ruth Ware book yet. 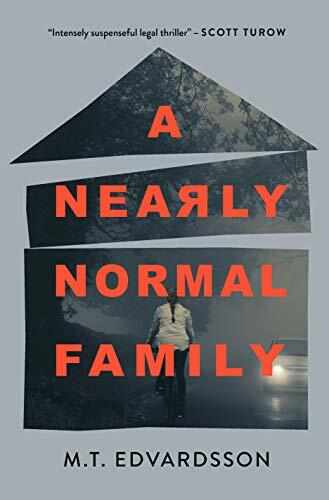 In this atmospheric and chilling story, Ware returns to the strengths of her first two books, crafting a plot that reads like a modern-day Agatha Christie novel. Family secrets, a remote mansion, a mistaken identity… there’s so much to love here, and Ware delivers on all of it. Why You Should Pay Attention: Molloy’s addictive and entertaining suspense novel has already been optioned for film, and Kerry Washington is slated to star in the movie adaptation! THE PERFECT MOTHER is a “popcorn read” with a keen eye. In Molloy’s page-turning novel of suspense, a group of Brooklyn mothers are put to the test when the infant of one of their own goes missing. Smart and engrossing, THE PERFECT MOTHER is bound to be a favorite 2018 beach read - plus, its cover has to be one of the best of the year.